My beebalms are blooming! 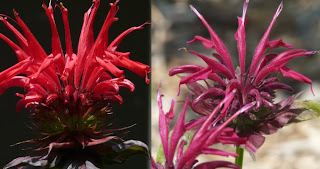 I tend to gather collections of the same plant, and beebalm is one of those little collections. I currently have three flavors, including Monarda 'Lambada' that I just got a few days ago. 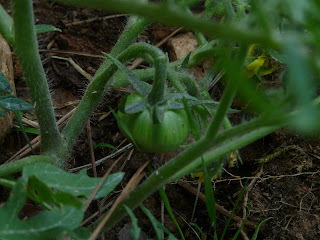 The horsenettle in the yard (devil's tomato, as it's sometimes referred to) is blooming, but my real tomatoes are ahead of the game. They've got flowers and fruit. Here's a greeny off of my Silvery Fir Tree tomato. It's currently winning with five baby greenies! hi! I was wondering if you would like to team up and blog about each others sites? My hubby and I own a online business www.legacyandera.com We are trying to get the word out so I thought why not see if other business owners want to blog about each other's site! If you are interested please email me churchgrl79@yahoo.com Thanks I look forward to hearing from you. i love the first two flower pictures!